This rugged and ready, two-wheeled petrol trimmer represents extremely good value for money and is possibly the best buy on the market for its class in terms of features, quality build and power. The MD Tondu is push propelled, but the trimming head is driven by a powerful 160cc, air-cooled, single-cylinder 4-stroke petrol engine. It is extremely reliable, has a dependable, recoil-pull for easy starts and provides plenty of cutting power for thick grass and stubborn vegetation. A truly go-anywhere trimmer, the simple but effective front design with its low flat-nose profile, means it can glide under bushes, hedges, garden seats or low hanging branches, to cut where others can't. The overall construction is steel and is rugged and durable, with large heavy-duty, 14 inch wheels, sporting thick rubber tyres and spoked for extra strength so you can venture into spinneys and copses with the MD Tondu, and clear up in meadows and pasture, or tackle river banks, grassy slopes, ditches and, in fact, any overgrown patches of rough grass or weeds. Even awkward areas like roadside verges at the front of properties, which are tricky to handle and are frequently angled, uneven and uncared for, can be tackled and tamed with this versatile trimmer. And being a line trimmer, with strong, durable nylon lines that extend beyond the wheels, you can be confident when working in really overgrown or badly neglected areas, as any unseen rocks, tin cans or other hidden obstacles can be encountered without damage, since there is no metal blade to break. In fact, this means you can use the MD Tondu Two-Wheeled Push Petrol Trimmer to actively trim and cut right up to the very perimeter of walls, garden ornaments and fences without worrying, producing the ultimate neat finish to your garden edges. The working width of 56 centimetres means you can tackle large areas, so a paddock or small pasture should be no problem, and of course, trimming around trees and bushes is easy so a smaller sized orchard will cause no problems. Cutting height adjustment between 35 and 70mm further extends the flexibility of this top-quality, two-wheeled trimmer. Engine control is carried out with a bail-arm, or OPC (Operator Presence Control) so the engine safely stops the instant you release it. There is also a throttle lever on the right, a lever to engage the trimming head to the left and a thick, soft-grip sleeve is fitted to the handle for extra comfort. The MD Tondu Two-Wheeled Push Petrol Trimmer has folding handlebars, making it easy to store or to pop in the back of the car to take to the next working area. We have blogged about this product here and here. I have had this machine for 3 years having shipped it out to my home in France. We have 3 hectares of pasture and the strimmer tackles thistles, small trees, reeds etc that spring up over the land. It's easy to handle, easy to start and the large wheels allow me to push it just about anywhere. BRILLIANT! Assembly - dead easy. Features - now many do you need? It cuts grass. Build quality - pretty decent, especially considering the price, the trimmer head looks like it won't last long. Ease of use - dead easy but not that easy to start. I cleared 2 paddock areas of rough grass, just over 700 sq metres of 5ft high nettles brambles thistles and more. This machines made light work of a daunting task. The dome on the strimmer base worn through. It's made of very thin metal. I ordered this trimmer after reading the reviews posted. I couldn't be more happy with it. Firstly, delivery was excellent; it arrived within a couple of days and the delivery company phoned me first to check that I was in. I wasn't, so they left it with a neighbour. Secondly, the trimmer was easy to put together (though the instructions were a little vague) and then it started first time after we put in the supplied oil and then the fuel. Finally, the machine worked like a dream. I have never been so happy mowing the meadow! What used to be a several weekend job with our old strimmer, became a couple of hour's job with this! If only it could rake up what it cuts down! We (our fishing club) used this machine all spring and summer along the river bank clearing all sorts of vegetation. 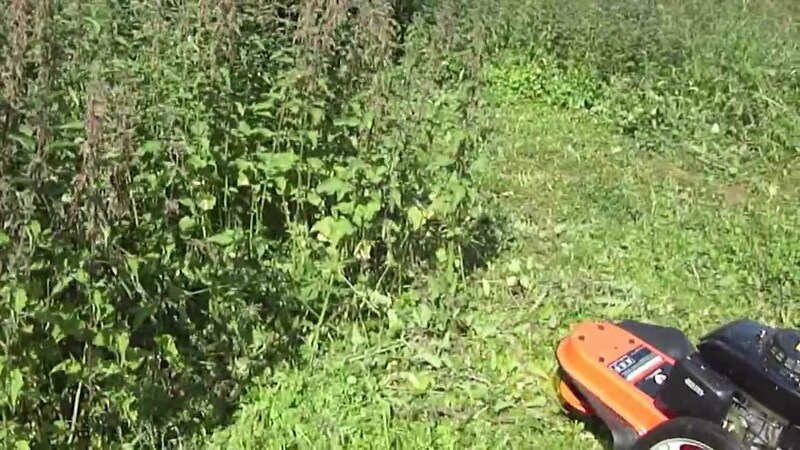 It has big advantages over normal strimmers, it can deal with thicker plants, the 4mm line (we use Stihl 4mm line) lasts a long time, the operator does not get covered in debris. It is also light enough for one man to pick up and put into a van. We bought this to cut down 5 foot high nettles in our paddocks. It coped with these and thisthles and brambles with ease. I thoroughly recommend this machine. I used the trimmer to deal with a half-acre meadow at our home in France with grass and weed about 3 feet high. Needed to do a higher cut first then go over again to cut last few inches. Did the job very well, got into small corners fine. I was nervous about buying a machine so much cheaper than its competitors, but reassured by the very good reviews. I needn't have worried, it is a good solid machine that works perfectly. It is a brilliant idea sending it with a bottle containing exactly the right amount of oil, saves a lot of faffing about! Oil and petrol in, started first pull. Easy to use, rips through thick brush very quickly. I've only had it a couple of weeks so can't comment on long term reliability, but so far so good. A great machine. I needed to clear half an acre of neglected garden and this worked a treat on all but saplings and established weeds with woody stems (for which I needed a metal bladed strimmer). Comments here about not being able to obtain the string on a roll. I bought a 95m roll of Stihl 4mm string for about £20 online (part number 930 3603) and it works much better than the yellow x sectioned stuff supplied with this machine. Although the supplied stuff looks thicker, it's thinner in the core so snapped easily (I went through all the supplied ones in 2 days as it hit stones and rubbish in the ground). The Stihl ones last much longer so the 95m roll is probably going to last me forever! Very quick delivery; very easy assembly; straightforward operation; effective performance; excellent price; extremely good value for money. Like many others I was reluctant to purchase an unknown (to me) brand over the more established wheeled trimmers and, like many others, I have been amazed at just how good this cracking machine is. It was well packed, easy to assemble and, after filling with oil and unleaded fuel, it started first time. Powerful, easy to manoeuvre over bumpy ground and trims everything with ease. I say everything to include nettles, hogweed ( face mask and clothing essential) and tough brambles. Very impressed with this excellent machine. Solid build quality, two-year warranty which is longer than some of the other well known brands, and a smooth running Loncin engine which has started on the first pull. It may be a Honda clone but is much quieter and sounds more refined than my other machines fitted with OEM Honda equivalents. This is a real brute. It tackles the lot and does an amazing job. I wish we had got one years ago. So much better than those silly electric ones with strings that constantly break. I must say I was dubious before we got it but was proved wrong and love it. My husband has done all the way around our large garden and it looks so much better. We lent it to our son, as his lawn was overgrown, and he was very pleased with it. Delighted with it, but do suggest buying extra line for it. I purchased one of these last year and it has been superb, keeping my acre of garden tidy around the edges. I purchased a holiday home in France where the garden had not been touched for years, so took the Tondu down to sort it out. Again, it did a great job, so decided to leave it in France and buy another for home. MowDirect were again excellent, and this time so was the courier and I had my new mower within 48 hours of ordering. Fitted the wheels (a couple of minutes), added the engine oil and some petrol. Started first pull! Its first use was for 5 hours and it is still on the original trimmer line. If you need a large strimmer, buy one of these! Excellent service by MowDirect, arriving in two days. The trimmer has a 198cc motor, powerful enough for all of my needs. Assembly is straightforward needing only a spanner. `It started easily and gets through tall grass , weeds etc very well. Would definitely recommend for rough areas. Not convinced on a show lawn of course but this is not the device for that. Needed to cut down some very over grown grass and brambles, was amazed how easy it was to use and the power from the engine was more than enough to do the job. The grass stood little chance of staying upright, the lines did a very good job. Only one thing it wouldn't do (and I was being a bit too clever) was cut thick brambles, I should have know better. Much easier to use than a normal strimmer. Overall it's a very good machine, I hope I have many years trouble free service from it and its really worth considering as a purchase. Have been very impressed with the power and ease of this machine. Already cleared at least half an acre of weed and bramble and looking forward to the next half acre! trimming lines last well, as does fuel. Great value. I had some reservations before purchasing my Tondu wheeled strimmer, it was so much cheaper than the other products, it was quite heavy and it did not have a self propelled option. However I need not have worried. It is now my favorite new toy and has exceeded my expectations! Solidly built, not too thirsty, very easy to use and start and will tackle anything. I am 62, female and 5' 2" tall, our land is rough and not flat, so enough said. The only weak point has been the plastic throttle mechanism which I will need to get a replacement for, pity. And a a self-propelled option would be fantastic for getting up the slopes! 1. Long grass can become wound around the rotating boss and stop the engine. However, clearing the grass is very easy compared to other mowers 2. Restarting a hot engine can take several tries - but it does it in the end. 3. I have found it difficult to source reels of trimmer line of the correct width, because this is unusually wide, as it has to be. I have got one, but it was expensive (>20€) and breaks more easily than the supplied lengths. It is also much harder to affix this line to the machine. It may turn out to be be advisable to stick the yellow lines that can be purchased from MowDirect, and I think the reason is that they are more porous, so the soaking in water that is required to confer flexibility and reduce breakages is more effective. Trying to use thinner lines (even if only slightly thinner), that are easy and cheap to buy, is useless. 1. It is able to cut grass and tough weeds up to 4 feet in height. I have also had to attempt vegetation - specifically ferns - that are above over 6 feet in height and it has coped, provided the density is not too great. It can suffer broken lines when tackling very tough weeds such as a tall thistle, where the stem is over 3cm in diameter. To be honest, the spec does not claim that the mower can do this anyway. I would recommend pre-cutting such thick-stemmed weeds with shears. 2. it is able to cope easily with vegetation that is sodden with moisture. Most mowers cannot. 3. it can cope with sloping terrain, within reason. 1. Strimmers cause back pain and wear you out quickly. This does not. It is perfectly possible to use it for an hour or more without a break - even if you are feeble, out of shape, and getting on a bit, like me. 2. The wheels ensure that the surface is not scalped and help you to obtain a more even cut. 3. All the strimmers I have ever used have been useless for loading, feeding or replacing line. With the MD Tondu, this is quick and easy. Provided you are using the recommended line, it takes about 30 seconds. The reel of non-recommended 4mm cable I purchased takes far longer as it is stiffer and has a square profile. One last thing to add is that the wheels are large. This means the machine copes with uneven/bumpy surfaces quite well. I have seen only very few alternative mowers that use the same principles as this one, but one of them has wheels that are tiny - about the size of those on a wheeled suitcase. Although I haven't tried it, I would imagine that this would be a huge drawback on our garden, which is rough and ready. Very good machine . Pity you cannot buy a reel of spare 4mm line from the firm . This piece of equipment is (after only a couple of days) one of the best I have ever bought. It eats a way through fairly heavily overgrown areas of the garden in record time and all without the effort of having to hoist the line trimmer around. Basically it is like a very heavy duty line trimmer on wheels and will cut everything up to new growth on rhododendrons! Certainly a good purchase, and the excellent service from MowDirect simply added to the experience. Recommended! The mower lives up to its promises. It is robust, powerful and easy to start, unlike other petrol trimmers I have used before. The fact it is wheeled makes for ease of use. It can cover quite large areas of ground quickly and cuts through overgrown dock, nettles, weeds etc I would recommend to anyone looking for a reliable machine to help manage paddocks/pasture. An excellent product from an excellent company. Pity the same cannot be said about the courier who took over a week to deliver. Support from MowDirect was excellent, and the strimmer itself tackles 3 foot growth with ease. Trim line lasts well. Every large garden should have one. Just what the doctor ordered. It worked wonders and the service, right up to delivery on time, was excellent. Well made, easy to start. One of my favourite purchases in recent years, with 2-acre paddocks now clear of nettles, without the backache from traditional brush cutters. Cannot comment on durability yet but initial feelings are very favourable. Easy to put together and fill with oil/petrol. Did exactly what I wanted and cleared a large overgrown area quickly and efficiently. Not self-drive, but easy enough to push even over uneven ground. Have already recommended it to friends. Very easy purchase followed by a very smooth delivery via my shipper to France where no wheeled string strimmers appear to exist, only the bladed ones that wouldn't suit my needs. It starts easily; the new string is easy to fit; it's well balanced; it loves to destroy all our undergrowth (and a watering can and lots of madam's plastic flower pots). It will save a lot of time and energy around the paddocks. It certainly managed our overgrown field - still takes a while, but any pedestrian machine is going to be that way. Main thing is it can cut anything and it can get round all sorts of awkward places. However, the plastic drive lever snapped on day two which makes me a bit wary about how long it will last. It seems the way of all mowers these days - engine lasts forever but some cheap bit fails all the time. This seems to be such a useful machine though, that we requested a replacement and will see how long this lever lasts! Easy to use, cuts grass, nettles and thistles, Very quick to gut really long grass and weeds. This is an excellent product for its price. It seems well built, was easy to assemble (for a 50 yr old female) and started on the first pull of the cord! I set off cutting a track through 3' high nettles, cow parsley and assorted weeds to reach the electric fencing in my paddock! The trimmer fits easily under the lower tape of the fencing and tackles everything it meets, including thick brambles. I have had to remove thick grass stem build up round the strimming head from time to time, but a job which would have taken hours in 20 minute stints (approx the amount of time I can hold a hand strimmer) was done in record time! Very good value for money. What a beast! I love it. Having struggled with a strimmer in some overgrown pasture (nettles/brambles etc) we bought this based entirely on reviews. It is fantastic: it eats through undergrowth and saves enormous pressure on my shoulders. I am not very well-built so I still need to work at pushing and pulling, particularly over rough ground, and you will always have to deal with brambles and nettles wrapping themselves round the head as with a strimmer. Small price to pay though. I took the advice of another reviewer and bought a spool of 4mm plastic wire: it is quite easy to replace the wires, all you really need to do is cut the adequate lengths. I now look forward to going out and using it whenever I can, and am making huge inroads into the task. The only very minor gripe I have is with the packaging: the trimmer arrived very quickly but the lock-pins on the handle had loosened and one had fallen off..... I found the bits caught between two layers of cardboard OK, but never found the flanged washer so have improvised. Have been told the supplier has contacted the distributor but heard nothing more. It's not a big deal though as it really doesn't impact on the machine itself. Based on experience so far I would 100% recommend this product. Bought to replace MTD Yardman that fell apart after many years faithful service. Seems to be a very similar design. Does a good job, and seems durable. Line fixing could be better. Pre-cut line seems to last longer than 'off the spool' line, and the supplied lengths seem marginally thinner and somewhat more flexible. A self-propelled version would be nice! Very pleased with Trimmer and with the excellent service. Haven't tried the trimmer yet due to the weather conditions but the service we received regarding delivery was excellent. The machine is now assembled, which was achieved easily, and it looks good and solidly built. There was a longer wait than anticipated for the Tondu to be dispatched but it arrived promptly after I had been advised of its dispatch. It was well packed and easily assembled with minimal instructions, started easily and works well in our local churchyard. This machine really does the job with ease, very light to move around and is great to get into tight corners. The wife loves it as she can get into the corners others can't reach. My garden is mostly given over to a 1 acre wildlife meadow on a 1-in-3 slope, which requires cutting once or twice a year. Up 'til now I've used a standard petrol lawnmower. With grass thigh high, that is an arduous task, taking 7-8 exhausting days. After just over an hour, I'd done 2 days work with this lawnmower. The cutter seems to prefer half-width cuts, with the vegetation on the left side of the mower. Will cut Broom up to 3/8" diameter, first year Oak seedlings and most wild flowers (or 'weeds' as most people call them!). Will remove the bark from Broom up to 3/4" diameter. It struggles a bit with thatch, where cats or wind have laid largish areas of grass flat. Most Slow Worms seem to be missed, and all insects seem to get out of the way fast enough. Engine is quieter than an average Briggs & Stratton 4hp lawnmower. Compared to a lawn mower, it's a definite improvement on my health due to reduced heat exhaustion and it also means I don't get covered in trimmed off anthills and peeved ants - the anthills are up to every 10 ft in our garden and support several Green Woodpeckers. I bought this strimmer because my present hand-held strimmer is too heavy after one mile of river bank strimming (now 75y). The strimmer arrived promptly and was in perfect condition after 500 miles carriage! I have strummed heavy mixed grass, including Tansies, with ease and the river bank is so easily managed now - the large wheels cope with rabbit holes with no difficulty. Very pleased with helpful, supportive supplier and the superb strimmer at an excellent price. I also bought a set of replacement line lengths but these were too short at 40cm (should be 54.5cm). I bought one to cut my one acre paddock after the wild flowers had faded, it is great. I took it to a local heritage trust I volunteer with, the guys were so impressed they bought one for the trust. They weren't just impressed by the machine but also that I could use it I I have a reputation as a kack handed technophobe ) so for me to introduce them to a machine that I raved about and could use astounded them. Easy to get going straight from the box. A lot easier than using my petrol brushcutter especially in heavy vegetation. Quite quiet in operation for its size. As said before, does drink the petrol and seems to go through the strimmer line quite quickly. 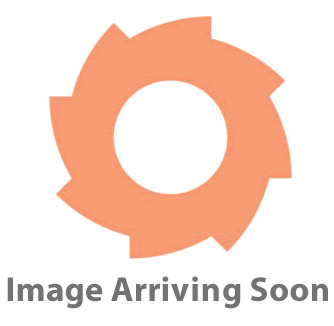 This product is excellent! We've recently taken over a new allotment having moved house to a new area 2 years ago. Now my partner is an experienced allotmenteer, but in our new location we're completely surprised by how quickly the surrounding undergrowth takes over... and the new allotment is about 3 times bigger than we are used to. So we felt a bit daunted after the recent sun/rain which has spurred the undergrowth onto near triffid proportions. What a sensible purchase our Tondu MD was! In under 1 hour we had the whole thing under control. The Tondu ate its way through everything and it was so easy to handle. The large wheels and good weight balance made it a dream on what is far from even ground. This machine was easy to assemble, we put the wheels on, popped the oil in, fuelled up and it fired on the first pull. The only adjustment we had to make was aligning the handlebar, making it a bit lower so that we were more able to push from "behind" rather than "downward", but again the superb balance of the machine means you really don't need to push down to move it around or change direction. After our one hour session the strimming lines were still intact (we did soak them as recommended and I think this does aid the flexibility). The allotment has plenty of hard edged obstacles including stone walls, bricks, angled-metal fence posts etc. I'd assumed we'd be changing the lines every few minutes but not at all. We now love this machine! Now MowDirect, how did they do next day delivery for free? I ordered quite late in the day on the Thursday before a bank holiday, I get in the next day and there it is, well packed, clearly labelled. Well done indeed. A small point. I ordered with the additional "12 sets of strim lines"... not sure why they sent only 9.5 sets.... but hey they look like they will last a good while. So overall we're very satisfied with this product. It is clearly an overseas mass-produced product but it is well constructed. Everything fits well, it is well painted and very carefully packed. The instructions are clear and good quality (not a poor translation like we all come to expect). Exceedingly good value, very capable machine. What a great product. Easy assembly, just add oil, petrol and away you go. It went through my garden with no problems and did not even use a tank of fuel (I have a very large garden). Highly recommended. Arrived swiftly and fully assembled (just needed to raise the handles and fix them in place - the work of seconds). Added the supplied oil and some petrol, and it started first time. Tried it out today clearing an orchard of long grass, docks and thistle, and also cleared along a long fence. It felt very solid in use and didn't miss a beat. Having only ever previously used a hand-held power strimmer, using a wheeled version with 4mm strimmer cord felt like you had a beast at your command. Would thoroughly recommend - seems excellent value for money. DO HEED THE SAFETY INSTRUCTIONS AND WEAR SAFETY GOGGLES OR, BETTER STILL, A VISORED HARD HAT - this beast is powerful! After needing something to cut very overgrown grass I looked on the website and found this product. It looked like the type of machine required for the job so ordered. It arrived next day as promised (good as needed quickly) with no p&p charge. Put petrol and oil in and started straight away. It is easy to move around and load in van/car as not very heavy. The grass in some places was at least 3 feet high and I was amazed how easy the mower cut through it. Would recommend to anyone. Does what it is designed to do. Arrived within 2 days, well packed, easy to assemble and get started. So far a joy to use. Nicely built, easy to use, great value for money. We looked at other makes before deciding to buy this model. We are really pleased with this and would highly recommend it. The trimmer mower arrived already assembled apart from me setting the height of the handles (very easy) and adding the oil which is provided and some petrol (again very easy). The instructions are very detailed and I as a female found it very easy to follow. When ready to go, the timmer mower started first time and it soon took down my "three foot jungle" on my top garden. I also then went on to clear a walkway on a path that had grown up with grass and weeds (again about three foot). The only little niggles I have found so far is that it tends to use a bit of petrol and the machine is quite heavy and not easy to get up the two to three steps I have in part of my garden although on the flat it is easy to wheel. All in all, seems a good machine and does the job well. This product for the money is excellent. Take it out the box, add oil and petrol, pull the cord and off you go. Dead easy to change cutting cord. I cut 1.5 miles of fencing growth and it didn't miss a beat. When cutting thick 1 meter long growth it did stall a couple of times but I probably asked to much of it. To sum up, one of the best tools I have purchased.